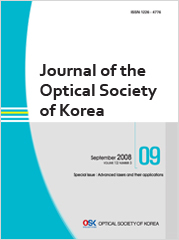 In this paper, a new 2-step quadrature phase-shifting digital holographic optical encryption method using orthogonal polarization is proposed and tolerance errors for this method are analyzed. Unlike the conventional technique using a PZT mirror, the proposed optical setup comprises two input and output polarizers, and one λ/4-plate retarder. This method makes it easier to get a phase shift of π/2 without using a mechanically driven PZT device for phase-shifting and it simplifies the 2-step phase-shifting Mach-Zehnder interferometer setup for optical encryption. The decryption performance and tolerance error analysis for the proposed method are presented. Computer experiments show that the proposed method is an alternate candidate for 2-step quadrature phase-shifting digital holographic optical encryption applications.